The original South Carolina flag predates the national flag of the United States, and it was most likely the first official flag to represent any part of the southern United States. 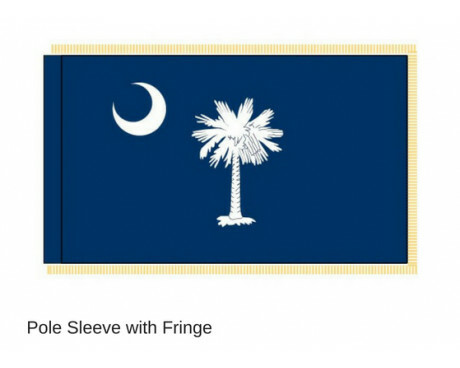 The SC flag has undergone a few changes since then, but the current flag still maintains a clear link to the flag that represented the people of South Carolina during the Revolutionary War. 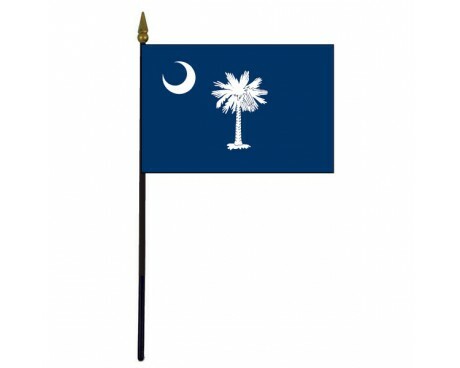 The SC flag has an indigo field that proudly displays a white palmetto tree in the center and a white crescent in the canton. The palmetto tree is an important symbol of South Carolina that provided the state with its most common nickname. The crescent is a reference to an emblem that soldiers from South Carolina wore as part of their uniform during the Revolutionary War. 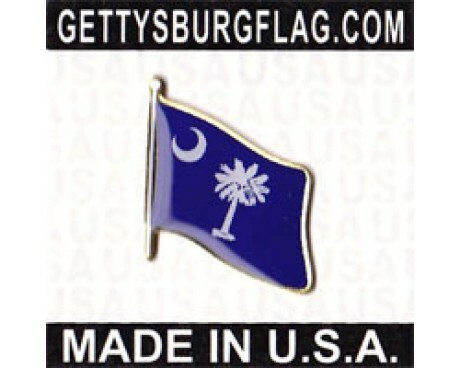 The first South Carolina flag was the Moultrie Flag, which came into use in 1775. 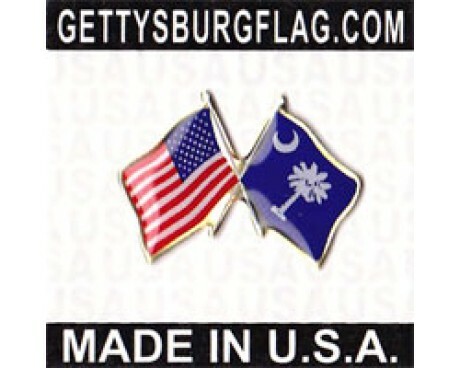 It lacked the palmetto tree that can be found on the modern flag and the crescent featured the word "Liberty," but it otherwise resembles the current flag. Colonel William Moultrie designed the flag in order to send signals to his troops during battles. The flag was flown during the defense of Sullivan Island shortly after it was designed, and its role in inspiring the troops during the conflict made sure that the design remained popular throughout the Revolutionary War. South Carolina succeeded from the United States during the Civil War, and that succession prompted the state government to adopt a new flag. 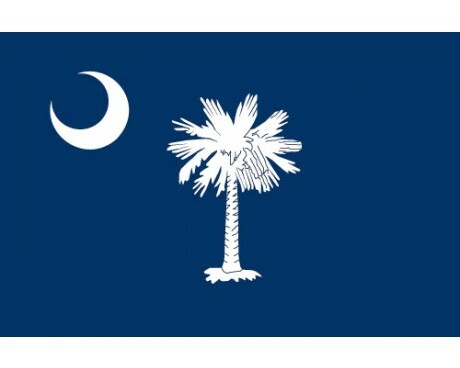 It added the first palmetto tree to the flag, although it was a fully colored depiction on a white disc rather than the modern depiction. The flag was only used for two days before it was replaced with the current design. The flag was raised over Fort Sumter after the Union forces withdrew, which made it the first Confederate flag to be displayed on Union territory. The flag of South Carolina is one of the few flags from the Civil War that remained in use after the war reached its conclusion, and it has not changed since it was first adopted. South Carolina was named after King Charles I of England. In 1629 he gave it to Robert Heath. During the Revolutionary War, the cap and badge of South Carolinian troops was a white crescent. This was placed on a blue background as the military flag. In 1776 during the British attack on a log fort in Charleston Harbor, the palmetto wood used in the fort's construction proved resilient, and then the tree was added to the flag as a tribute. Settlements became permanent in 1670. This colony was a royal province in 1719. In 1775 a council of safety took over, and the governor fled. On May 23,1788 the constitution was ratified. South Carolina seceded on December 20, 1860 and re-admitted to the union in 1868.